Great! Can't wait to go on another ride. I think I'll invite friends for a listening party for this one - thanks alot, Noel! Man, this one is just exactly perfect, Noah! That audible, cut-it-with-a-toy-sword buoyant joyousness is such a fundamental part of what gives the Dead's music its magic. It's a big part of the reason why I simply cannot imagine life without the Dead providing the lion's share of the musical soundtrack. Sadly, the podcast doesn't seem to want to load for me beyond a point partway through your post-NFA remarks. I'll have to give it another shot later and see if I can get the rest of it playing. The China>Rider... love that intro!! And they got into such a great groove by the time that transition into Rider came along that I wonder how they could bear to end the song as quickly after the last verse as they did. NFA>GDTRFB>NFA... does it get much more playful than this? Talk about "rock and roll with the emphasis on 'roll'!" (Mr. Bell certainly nails it about the Dead with that one, I agree!) This selection bears repeated listening, as do the rest of these. I can't get enough of that transition from GDTRFB back into NFA! I am having an ongoing problem getting the entire podcast from Zune marketplace. I have posted a request for them to try and help. Anybody else have this problem? I'll be clearing my evening to listen to this....many thanks Noah, for producing these labours of love. Thank you so much for a new podcast, I look forward to listening to it! I'm currently listening to #3. (oh man! that The Other One!!!!) I really love your podcast and blog - in my eyes and ears you are making a just exactly perfect presentation of The Grateful Dead and their music, poetic and accurate in your selection of words, and with amazing, mindblowing, wonderful selections of music which open my eyes to yet unheard pieces of GD music, and at the same time continually reopening my eyes to the best music the world ever heard. GD rarely, or never, fail to leave me speechless! 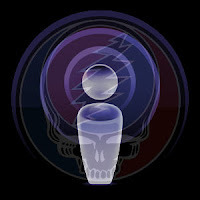 I'm gonna tell my deadhead friends about your blog and podcast! abstraKct, Thrilled to have you along for the ride. Your words are very kind, and appreciated. Yes, do tell your friends and help the GDLG family grow! choppedliver, very sorry for your download troubles. I don't know much about Zune. I do know that downloading again ofter solves the problem. These are relatively large files (I can't bring myself to compress below 192). That Eyes>Estimated>Franklins has a much better sound/ ambiance than the GD Store Download recording. Your podcast series is first class - a superb guide and analysis to the GD canon. My sincere thanks to you for creating this fascinating site. What show is the Eyes>Estimated>Franklins? Not willing to spoil right here on the page. You'll have to head to the 59:12 spot in this podcast for your answer. It's there. I just finished listening to all of the podcasts and I just want to say job well done and I look forward to hearing what is next. For me Eyes of the World has always been my favorite because it seems to be comprised of every element of the creativity of the GD (cosmic, contemplative, fun, danceable and totally imaginative) and regardless of the day, era, show, venue, etc. they never let this song fail to disappoint. While a highly regarded song in its' own I still think it is too often underappreciated and underdiscussed, perhaps because it is so strong and so obvious that it needs no introduction or discussion. Anyway, I was stoked to hear the two versions included thus far. Thanks for doing this and for the narration - great insight that really teaches, something that really aids the journey that is understanding the GD and their music. Thank you, friend. I appreciate your comments and devotion to the podcast series.